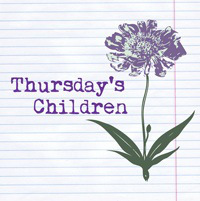 It’s time for my Thursday’s Children post yet again, that time of the week when we writers come together to share what’s been inspiring our writing. I must confess I was having trouble working out what to say this week about what inspires my writing as I’ve said quite a lot about that already. I’ve also had quite a busy day – hence the late posting! But in the end I did think of something – hooray! It occurred to me that I could talk about what inspired the subject of the novel I’ve just finished (NOT to be confused with the WIP I’m sharing a bit of weekly with all you lovely WIPpeteers!). I’ve called this novel ‘The Inheritance’ and it’s loosely based on Jesus’s parable told in the Bible about the Prodigal Son. Now for those of you who don’t know your Bible, the story is about two sons and their father. The younger son demands his inheritance immediately and sets off to live the good life, whilst the elder son stays with his father on the farm and works really hard. The younger son gets into a lot of trouble (think drunkeness and debauchery!!!) and loses his entire inheritance. He ends up working for a farmer minding the pigs. I don’t know much about ancient Israel, but seeing as Jews don’t eat anything with pig in as they consider it unclean meat, it probably means that looking after pigs would have been seen as one of the lowest of the low jobs. So whilst tending the pigs, it occurrs to the younger son that he could earn more money than this as one of his father’s hired hands. He decides to return to his father, ask his forgiveness and if he could work for him. As the son is making his way home, his father sees him (he’s been watching for him) from afar and rushes to meet him. The two are reconciled – the father won’t hear of his son working as a hired hand – and he insists on throwing a party for his younger ‘prodigal’ son. Meanwhile the elder son who’d been working so hard and hadn’t squandered his inheritance, is pretty peeved as you can imagine. He has a go at his father telling him in no uncertain terms that he feels hard done by, but his father says that of course he appreciates all he does for him. But he tells his elder son that it was as if his other son had come back to life ‘he was lost but now is found’. So ends the story. It gets me thinking about how other people’s stories can be an inspiration for our own. Obviously you can only rework stories such as those in the Bible or where the copyright has expired (think Jane Austen!) without being accused of plagiarism. Such stories are ripe for the reworking. But I guess it’s possible to draw inspiration from any kind of story we’ve been told. We could maybe adapt a family story our mother told us about what happened to a great grandmother, or a story our friend told us about their antics on holiday for their 21st birthday. Anything like this I think is great for developing our own ideas for a story. What’s your take on this? Do you come up with an idea for a story from scratch or are you inspired by other stories? If you would like to join in with Thursday’s Children, simply write about what inspires you on your blog and then click on this link. Thanks once again to Rhiann Wynn-Nolet and Kristina Perez for hosting. I know exactly what you mean I sympathise with the elder daughter too. But the younger has to be forgiven as by the end of my story as in the parable she’s learnt her lesson! I’m a huge fan of bible stories. I bet I’d enjoy your retelling. Let me know when it’s out. Yeah they’re great aren’t they. Thanks for the encouragement I’ll definitely let you know when it’s out! I think it’s a great idea reworking an old story and making something new with it. A friend of mine’s mum was in the Dutch resistance during the second world war and told her some incredible stories, which my friend is beginning to turn into poems. Taking inspiration from other people’s lives can be a really fascinating thing to do. I agree. I’ve been immersed in storytelling since a young age. When I was little, for example, my mum used to tell me stories about her childhood which began ‘when I was a little girl’. And as a child, the eldest of three, I would often tell my brother and sister stories, particularly on long car journeys. Definitely! There’s so much truth in the Bible stories, truth we can learn from. Thanks for the encouragement! Lovely! I LOVE retellings, and that’s kind of what my current WIP is. My previous stories tend to be made up, though there are historical elements or myth woven throughout. I’m fascinated by this story of yours and can’t wait to read it. Sounds interesting. Thanks for sharing! I could totally see it going a bit King Lear/Thousand Acres. My husband is actually from Cornwall (Falmouth) and the countryside is very inspiring there. Thanks again for joining us! That’s really interesting Kristina. My mum’s family all live in Cornwall and I love it there! :o) And yes it is very inspiring, very atmospheric. I sympathise with the younger brother 😉 Two sisters, hey?! I look forward to reading!! Oh you would! 😉 I’m going to publish it on Kindle and would love for you to read it.